If you run a conference centre, you know that planning every last little detail is the key to success. We take the same approach with our conference centre insurance. Our experienced team understands the specific risks that face conference centre managers. And we’ll help you plan to mitigate those risks. That means you can focus your attention on all the other urgent tasks in your inbox. 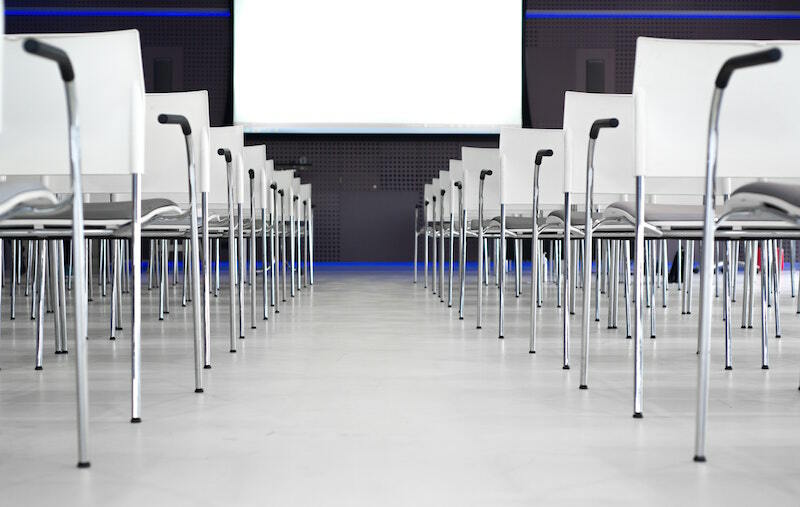 What does conference centre insurance include? Specialist equipment insurance, such as A/V equipment. This insurance can be extended to include extra equipment you’ll hire in for special events. For example, lighting or sound systems. Public liability insurance. This pays legal fees if a member of the public is injured or property is damaged by something connected to your conference centre. For example, slips and trips or allergic reactions to mislabelled food if you provide on-site catering. Employer’s liability insurance. Required by law if you have any members of staff. It pays out legal fees if a team member is injured or property is damaged by something connected to your business. Event cancellation insurance. This pays out for irrecoverable expenses or loss of profit if an event has to be cancelled or postponed. Adverse weather insurance. If weather conditions affect your conference negatively. At Park Insurance, we have 30 years of experience sourcing the right cover at the best price for conference venues. As independent insurance brokers, we’ll search our extensive list of trusted insurance providers. We’ll negotiate on your behalf to secure cover you can rely on at a great value price. We do all the legwork, so you can concentrate on all the other tasks on your to-do list. Finally, if you do need to make a claim, our dedicated claims handling team will take away the hassle then too. Call our friendly team today on 0117 9556835 or fill out the form below for your free quote.